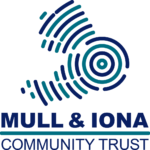 The latest round of funding for Argyll and Bute Council’s Supporting Communities Fund is now open and groups are being encouraged to submit applications for projects. 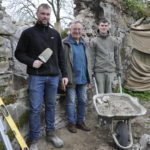 Groups can apply for up to 100 per cent of the total funding costs for projects or activities from the Supporting Communities Fund 2019/20. The maximum award available is £2,500. The deadline for submission of completed applications is Wednesday February 6. The fund is aimed at supporting community projects and helping to kickstart new projects. Application forms can be found on the website at https://tinyurl.com/ supportingcommunitiesfund and if you require a hard copy or further information or guidance, contact the team. Following a one-year participatory budgeting pilot and a follow-up evaluation, the application form has been improved and there is opportunity to submit applications electronically. The allocation of funding will be decided by elected members at local area committees. There is one round of funding annually. Applications that have met the criteria will be scored and recommendations made for a decision to be taken in spring 2019.